I saw a trailer for this movie a few months back and I was immediately sold. IThe question I asked myself is what need this movie fills. There’s no shortage of dumb and funny movies out there but there is a shortage of GOOD dumb and funny movies. This fills that need and I could not be more excited to watch it. From what I could tell watching the trailer, This is the end is a comedy about a bunch of friends getting together to party when the biblical rupture suddenly hits. They need to find a way to survive. Oh, and the bunch of friends are Seth Rogen (star of Knocked up), Jonah Hill (21 Jump street), James Franco (Spiderman), Jay Baruchel (Hiccup’s voice from How to train your Dragon), Danny Mcbride (Pineapple express), Craig Robinson (Hot tub time machine), Michael Cera (Juno)… and more. After seeing the cast, I was already 95% sold on the movie. I didn’t care what the story was about and I just want to watch them… The 5% was in case it was some trash musical like Les Miserables or something, in that case I’d hesitate before going to see it anyway. Now, what makes this cast good is that they’ve worked together before… a lot. So these guys know comedy. Just to illustrate a point, I have put together the below chart where these guys have worked together. Now the crazy thing about This is the End is that everyone plays as themselves. So they call each other by their real names. Which I think is pretty funny. The setting of the movie is also in Hollywood, LA. So some personalities are bound to show up. Rihanna and Emma Watson are some who were already shown in the trailer. Hopefully some others will also make a cameo. I saw Channing Tatum on the cast list. More cameos… I saw a few, hope there will be more. Show a lot of Stereotype/Racist jokes – Rogen and friends are top notch, great about this based on their previous movies. I hope the writing keeps up and there’s a lot more of this. Play as themselves. They pretty much play the same character in almost every movie they’re in. Some have done other personas, that’s fine. But I want their funny personas here! Make me laugh more than 50% of the time. I hope this movie will be good! 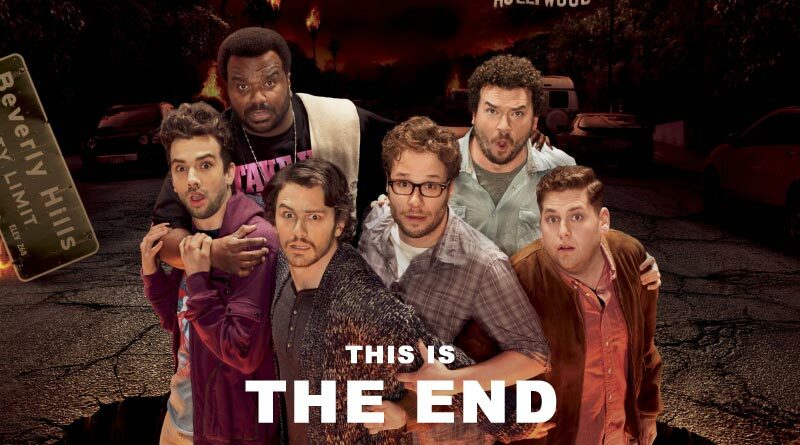 This is the End comes out in September in Philippine theaters.